Now there's no need to kick the loose shower tiles back into position as you shower each morning. 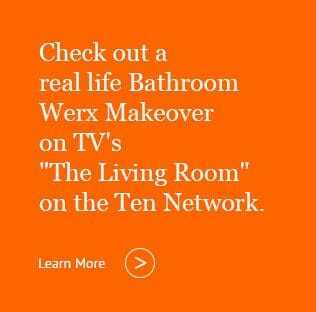 Thanks to a simple but stunning new technology introduced by Bathroom Werx no retiling is required. Your unsightly old shower base and and loose tiles can be easily and quickly transformed to look like NEW again. 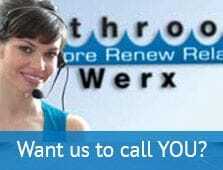 The process is offered locally by bathroom re-enamelling specialists, Bathroom Werx. It's all very economical because there are no structural changes needed and there's no mess. You choose from the very latest in decorator colours and the re-enamelling process only takes a matter of hours. Your bathroom is then ready to use 24 hours later. Bathroom Werx provides a 7 Year written guarantee on its re-enamelling process and has over 30 years experience to back it up. See for yourself what a shower recess transformation can do for your bathroom.